Learn about carpets, including the definition, history, and types. The Cambridge Dictionary defines it as, “thick, woven material for covering floors, or a piece of this material”. Carpets are defined by “a heavy often tufted fabric used as a floor covering” and “a floor covering made of this fabric” by Merriam-Webster. People generally use carpets to increase the style of their homes, and for the comfort they provide. In 1791, William Sprague was responsible for setting up the first woven carpet mill. As time passed, other carpet mills were also opened and could be found in places like New England and Little Falls New Jersey. With this continued growth and expansion, creative innovations were also made that made this industry much more popular and profitable as well. Some of the more notable inventions begin with Erastus Bigelow and his power loom for weaving carpeting process that was released in the year 1839. When the power loom was put in place, it allowed manufacturers to not only produce much more for consumers to install in their homes and businesses but it tripled the amounts that could be made by the year 1850. In fact, for those who are interested in what types of processes and equipment that was used in carpet manufacturing facilities during this time, you can find this type of machinery on display in the Smithsonian Institute today. The 1930s was a very significant period in the carpet manufacturing industry. As the demand began to grow, the need for a more mechanized way of woven carpeting expanded as well. Further, as a mechanized way of creating the carpeting began to meet these great demands, the pricing for the average consumer began to fall. One of the most common types of carpets is Berber. It features fibers that are bent into various short loops. These loops can sometimes vary in length. It's durable, dense, and stain resistant. However, Berber lacks the cushioning of most other types of carpets. Just as is the case with the Berber carpet, level loop features fibers that are bent into short loops. The biggest difference between the two is that while the fibers of Berber vary in length, the fibers of the level loop carpet are carefully measured out so that everything is exactly the same length. The result is a very stiff fabric. However, this carpet is ideal for high traffic areas. Multi-level loop carpet varies in height. In fact, it offers a series of flourishes in its design. This carpet is especially unique in that all of the threads are made into loops. Its texture tends to change over time. The Saxony, also known as plush carpet, features fiber ends that are cut evenly. The fibers have been packed tightly together and are half an inch in height, which helps to give it a very smooth appearance. It has a soft texture and can tear rather quickly if it comes into contact with something sharp. When it comes to textured carpet, the yarn is twisted and cut. Just as is the case with Saxony, this type of carpet is soft, however, it has a more casual appearance. The twists in textured carpet are tight enough to resist stains which makes it easy to clean. Frieze, also referred to as shag pile carpet, makes use of short fibers that curl in several different directions. This gives it a sturdy appearance. In fact, this type of carpeting can hide footprints. Though it appears sturdy, heavy traffic can lead to a considerable amount of wear and tear on this material. It can also be somewhat difficult to clean. Frieze is often associated with a sense of luxury. Pattern arrangements make use of both cut and looped yarn. The owner of the carpet can specify the specific areas in which they would like the yarn to be looped versus cut before the carpet is actually made. This helps to establish a certain pattern and can be great for decorative purposes. This carpet can be created according to any pattern, whether it symmetrical or various floral accents. We provide carpet cleaning services in Grass Valley and surrounding areas, as well as Auburn. 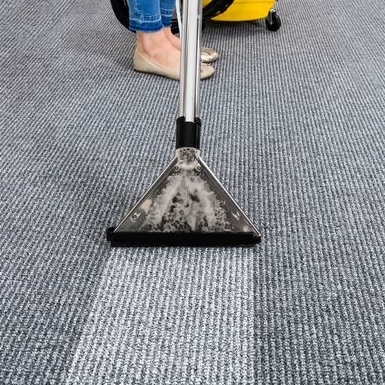 If you need your carpets cleaned, contact us today to get a quote. Ask us about our eco-friendly cleaning optional service. As you can see, there are various types of carpeting to choose from. And each textile flooring covering has its own distinctive characteristics. Even though woven carpeting has been around since the late 1700's, there has been a wide variety of changes in the carpeting industry. Today, the entire process of manufacturing woven carpeting for the home and businesses is now with the use of mechanized and less costly too.